Photograph of clock made by John Muir while a student at the University of Wisconsin in 1860. 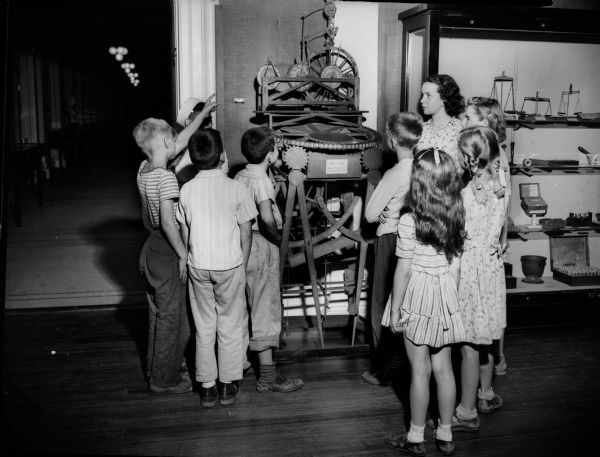 Children are looking at the John Muir clock in the museum at The State Historical Society. John Muir (1838-1914) was America's most famous and influential naturalist and conservationist. He is one of California's most important historical personalities. He has been called "The Father of our National Parks," "Wilderness Prophet," and "Citizen of the Universe."